To claim this profile, please confirm you are Kiara Moreno. To follow this profile, please let us know your relationship to Kiara Moreno. RESULTLoss Girls varsity basketball vs. Warren. 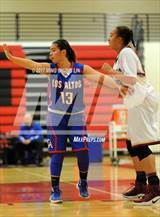 The Los Altos varsity basketball team lost Saturday's neutral playoff game against Warren (Downey, CA) by a score of 46-45. This game is part of the "2019 CIF Southern Section Ford Girls Basketball Playoffs - Division 2AA" tournament. RESULTWin Girls varsity basketball vs. Upland. The Los Altos varsity basketball team won Thursday's home playoff game against Upland (CA) by a score of 54-44. The Los Altos varsity basketball team won Thursday's home conference game against West Covina (CA) by a score of 70-39. The Los Altos varsity basketball team won Tuesday's away conference game against South Hills (West Covina, CA) by a score of 74-45. RESULTWin Girls varsity basketball vs. Lancaster. The Los Altos varsity basketball team won Saturday's neutral non-conference game against Lancaster (CA) by a score of 63-49. RESULTWin Girls varsity basketball vs. Charter Oak. The Los Altos varsity basketball team won Friday's home conference game against Charter Oak (Covina, CA) by a score of 68-9. 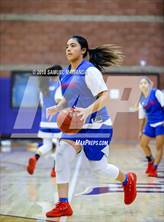 The Los Altos varsity basketball team won Wednesday's away conference game against Walnut (CA) by a score of 66-58. Kiara's basketball stats have been updated for the win @ Mayfair. RESULTWin Girls varsity basketball @ Mayfair. The Los Altos varsity basketball team won Monday's away non-conference game against Mayfair (Lakewood, CA) by a score of 61-55. The Los Altos varsity basketball team lost Friday's away conference game against Diamond Ranch (Pomona, CA) by a score of 65-63. Kiara's basketball stats have been updated for the win @ West Covina. RESULTWin Girls varsity basketball @ West Covina. The Los Altos varsity basketball team won Wednesday's away conference game against West Covina (CA) by a score of 70-44. The Los Altos varsity basketball team won Saturday's neutral non-conference game against Eagle Rock (Los Angeles, CA) by a score of 44-37. RESULTWin Girls varsity basketball vs. South Hills. The Los Altos varsity basketball team won Friday's home conference game against South Hills (West Covina, CA) by a score of 66-32. The Los Altos varsity basketball team won Wednesday's away conference game against Charter Oak (Covina, CA) by a score of 53-26. 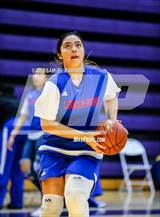 The Los Altos varsity basketball team won Thursday's away non-conference game against rival school Wilson (Hacienda Heights, CA) by a score of 61-26. 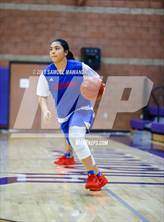 Kiara's basketball stats have been updated for the win vs. Valley Christian. The Los Altos varsity basketball team won Saturday's neutral tournament game against Valley Christian (Cerritos, CA) by a score of 73-36. Kiara's basketball stats have been updated for the loss vs. Lakewood.